Does Filing a Tax Extension Include State Taxes? 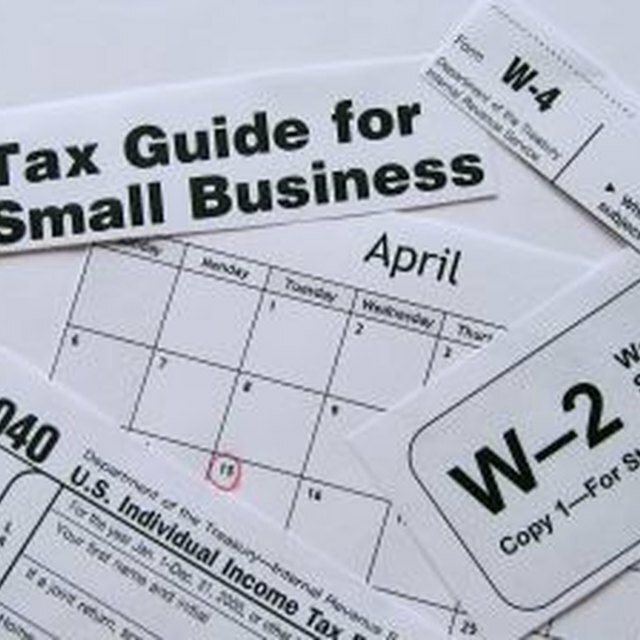 Filing a Form 4868 or 2688 for an automatic extension of time with the Internal Revenue Service gives the federal taxpayer more time to prepare a tax return. It doesn't give more time to pay taxes but prevents penalties for not filing in a timely manner. Certain states consider filing a federal income tax extension sufficient for obtaining an extension for state income taxes. You must file Form 4868 or 2688 by April 15 to obtain an extension. If you owe a balance on your federal income taxes, these forms don't extend the time to pay. If you can't pay the entire balance, the IRS suggests you pay what you can to avoid penalties and interest. States also require timely payment of taxes; an extension only extends the time to file. Texas, Alaska, Washington, Nevada, Wyoming, Florida and South Dakota have no income tax, so an extension is not at issue. No extension exists in Iowa. California and Colorado give an automatic extension to file, but tax is due April 15. Illinois and Utah require no extension if you owe no tax. New Hampshire doesn't require an extension if you owe no tax, but DP-59-A is the correct form to use if you owe taxes. Arizona accepts federal extension forms or you may file state Form 204. Arkansas, Kentucky, Louisiana and Indiana accept the federal extension. Georgia allows federal forms or state Form IT-303. Hawaii, Kansas and Maryland recognize federal extensions but just for a four-month extension. Michigan allows Form 4868 or Form 4 with payment due. Mississippi allows the same time as the federal extension. Missouri grants an automatic extension with the federal form. Form 4868 is valid for a four-month extension in Montana if you pay 90 percent of taxes owed by the due date and don't owe back taxes. Nebraska requires attachment of Form 4868 or 2688 to the state tax return. New Mexico recognizes the federal form or state Form RPD-41096. Ohio has no state extension form and uses the federal form. North Dakota, Oklahoma and Oregon accept the federal extension, but Oregon requires Form 40-EXT if you owe taxes. Pennsylvania accepts the federal extension. Rhode Island recognizes a federal extension if you owe no taxes. South Carolina recognizes Form 4868 but requires Form SC4868 if you owe taxes. Virginia recognizes federal forms or Form 760E. West Virginia and Wisconsin require a copy of the federal extension with your tax return. Can I Refile if I Forgot to Include Income on My Tax Return? Alabama has state Form 4868A and doesn't accept IRS Form 4868. Connecticut requires Form CT-1040 EXT for an extension. Delaware gives a four-month extension when filing Form 1027. Idaho allows a six-month extension to pay state taxes with filing Form 51. Illinois Form IL-505-I creates an automatic six-month extension. Maine requires Form 1040-EXT-ME for extensions. Massachusetts requires Form M-4868 for a six-month extension. Minnesota uses Form M13. New Jersey uses Form NJ-630 for a four-month extension. Form IT-370 is required for New York. North Carolina uses Form D-410 for an automatic six-month extension. Tennessee requires filing Form INC-251 for a state extension whether you owe taxes or not. Vermont requires Form IN-151.